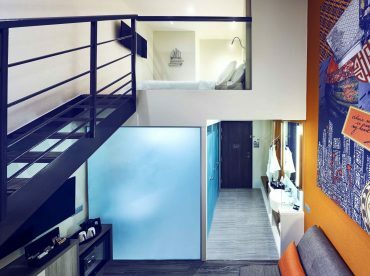 A streamlined room with everything you need for a superlative stay in Singapore. The decor of our Signature Room sets the tone for a one-of-a-kind hotel experience. Vibrant colours, graphic artwork, sleek furnishings… a visual feast awaits. Look forward to queen-sized comfort at bedtime, a refreshing rain shower and fresh coffee or tea in the morning. For solo travelers and friends, two inviting twin beds are set against a backdrop of bold art and vibrant color. A complimentary Handy phone keeps you connected throughout your stay. Use it to call up to 10 selected countries free-of-charge, ideal when doing business in Singapore. Or take advantage of the 3G/4G Internet service and use Handy as your own personal tour guide.